Have you ever gone home, only to find that you forgot your keys? Or perhaps you realized that you left your keys in the car. Maybe you have a new roommate who wants to be able to unlock the front door. What do you do in those situations when you don't have a spare handy? You call locksmith Near North & South Dublin Area, for quality services of course. Out of the many services offered by locksmiths, the one that fits the problems above is cutting new keys. A locksmith can cut a new key from either an existing copy or a code. The method used depends on the key needed and what they offer. Those tend to be a little pricier, but when you are trapped out of your home or car and don't want to break a window, then it is worth it. If it is something that doesn’t need to be done right away, wait until daytime business hours so you can bring in the key. The second method of cutting a key is by using a code. With some locks, there is an alphanumerical code etched into the faceplate. This combination of letters and numbers allow the locksmith to cut a key without ever seeing the key or lock. Locksmiths use this similar method to cut keys for some vehicles as well. For cars, they have not just a code to work from, but can also look up the appropriate key by using the vehicle identification number or VIN. The locksmith then programs the necessary code into the cutting machine, and it cuts a new key. 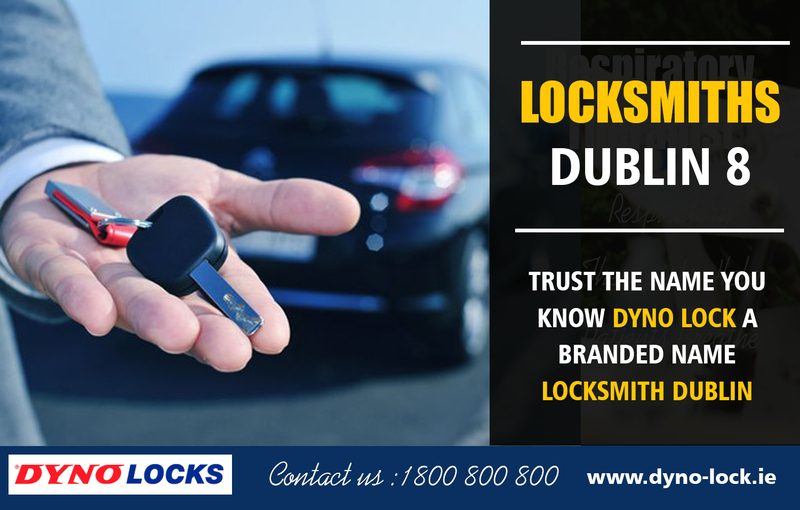 If you live in the Dublin area, you can find many different locksmiths capable of doing this. For those with a smartphone or computer access, open your preferred search engine and type in "locksmith Dublin," or "key cutting Dublin." After you get the results, you may need to narrow down the location to your specific Dublin as the results will provide locksmiths in the United States and Ireland. After narrowing your search further, then begins the tedious act of calling the locations or checking out their websites, if they have one. Generally, you can find the services they provide and get an idea of a cost estimate. 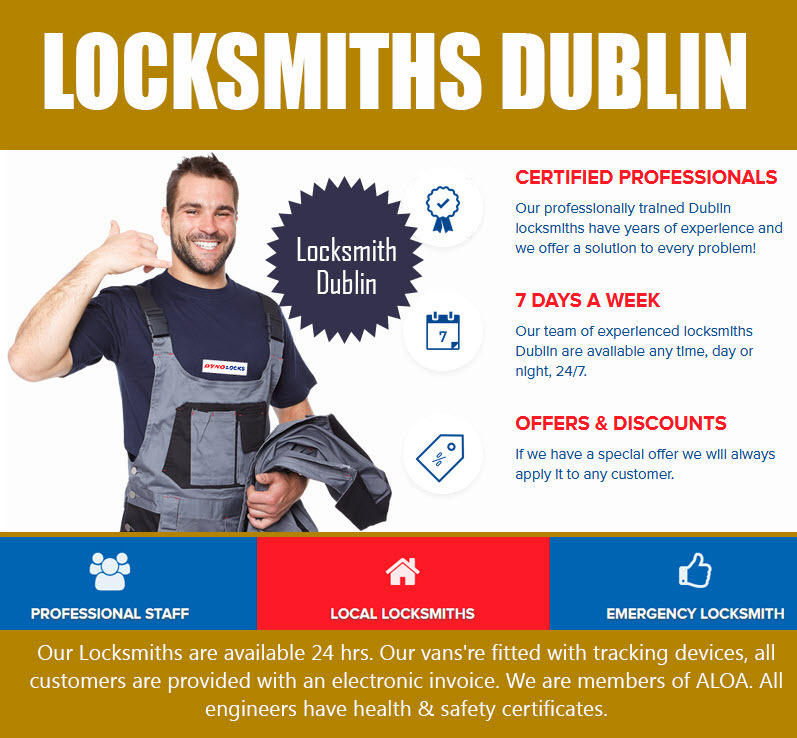 After you have a list of locksmiths in the Dublin area, you can provide the specifics of what you need. They, in turn, can give you a better idea of the cost and how soon they can provide the service. Once you have that, then it is a matter taking in the key and having the new one made. If it is late at night, you may find that some locksmiths on your list are not available after hours, while some are open twenty-four hours a day. Depending on your particular situation, you may need someone open late at night and available to come to you. The first way is the easier and more widely done of Key locks benefits – duplicating an existing key. If you go into most hardware and some retail stores, you can easily find machines where you insert the original and let it do the work for you.For these, take in the key you want to have copied, and the locksmith can cut a new one in a short time. In the case of a secured building, you need to obtain permission from the management company or building owner. There is a better chance of a lower price if done this way compared to them coming to you late at night. You need to do what is best for you and your situation. One thing that can be almost guaranteed is that, when you find the appropriate Dublin locksmith to cut your new key, they will do so in a professional manner and it will work. If it doesn't, take it back to them and they will either be able to make a correction to the one they gave you or provide a new copy. Safety and security are important, as is having a way to start your car. If you lose either one, a professional like a locksmith is your best bet on getting it back. It is what they train and apprentices for after all.